Mexico claims to have 9,330km of beaches which ideally should mean something for everyone. What I’d like to do is paint a picture of what to expect and then you can decide for yourself whether or not there is a beach for you - thereby proving or disproving the hype! Mexico’s proximity to the US means that the country’s mainland and west coast are heaving with los Americanos on high days and holidays, particularly 4th July and Christmas. If you don’t like crowds there are still beaches to find in Mexico, but they will naturally be busier. Otherwise great times to go for weather are generally between November to May, when you can expect ambient temperatures and clear seas. I would also suggest that between August and November the Pacific (west) coast can get stormy and rough, even beyond acceptable keen surf standards. At the same time Baja California is clear and warm, so why not try diving there? The country of Mexico enjoys the attentions of both the Pacific and the Caribbean. Generally speaking the Caribbean (east coast) has warmer water, has shallower runs to the beach and has white sand. The Pacific meanwhile is bluer and has more waves - perfect for surfing, and it certainly does attract a lot of surfers. Throughout Mexico there are some very touristy beach destinations - Acapulco, so beloved of train robbers in the 1960’s is just like Cancun on the Caribbean side. If you are into nightlife, a busy “scene”, and all the holidaymaker attractions these beaches could suit you. The island of Cozumel has a great beach, although busy. If you would like to do more than lie on a beach try Playa del Carmen near Tulum on Mexico’s Yucatan Peninsula. It is a beautiful beach, long with gently rolling waves plus you could always take in an historical ruin in the afternoon! For family beaches good for children, try Sayulita or on Isla Mujeres, Playa Norte is good with facilities without being too built up. On the Pacific side Manzanillo is a stunning beach with lots of space and green hills flowing down to the beachside. There are plenty of places around to buy Mexican snacks and sundowners so it seems ideal. Puerto Vallarta is a popular beach but if it doesn’t take your fancy try taking a short boat ride to Yelapa beach. As if there weren’t enough beaches to choose from for daytime activities, a favourite for an evening stroll is Old Town beach with its’ esplanade. If you are here for the day, go south of here to swim. 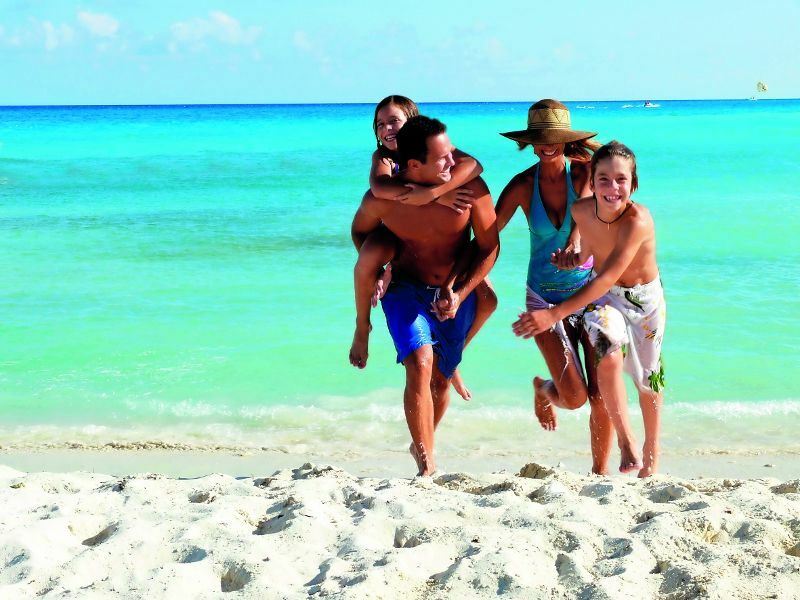 Further reading: Cancun is a great place to be based for a beach holiday and to enjoy a vibrant nightlife, along with exciting day trips and adventures all on the doorstep. Tulum, on the Riviera Maya, is protected by a bountiful barrier reef, second only in size to the great one in Australia, which harbours a kaleidoscopic array of tropical fish and sea creatures.